The Friends of ALSC and the ALSC Membership Committee are proud to announce the winner in the ALSC eBadge Contest. 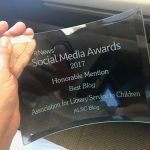 Krista Welz, Children’s Librarian at the North Bergen (N.J.) Free Public Library is the winner with her “ALSC Cloud” design. Welz’s design received over 175 votes on the ALSC Blog poll. Welz is the winner of a Nook and a Book from the Friends of ALSC. Her design will be featured for ALSC members to display on their blogs or email signature lines. Rick Samuelson (“I Empower Kids”), Youth Services Librarian, Washington County (Ore.) Cooperative Library Services and Margaret Stawowy (“Growing Minds”), Children’s Librarian, San Rafael (Calif.) Public Library were the two runners-up. Both will receive ALSC gift bags. 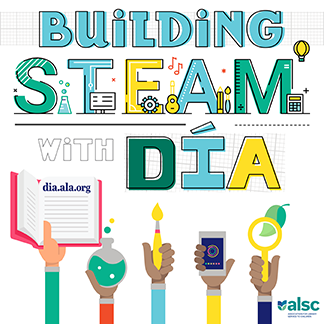 The Friends of ALSC and the ALSC Membership Committee hosted this contest to help display the creativity of ALSC members. With over 260 voters, ALSC thanks all the participants and everyone who voted. Friends of ALSC was created to ensure excellence in the Association’s traditional programs and services and to support growth in new directions as our profession meets the exciting challenges of the 21st century. 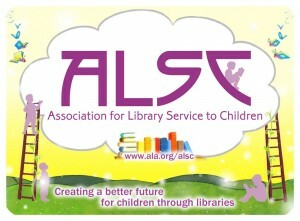 For more information and to learn how to become a Friend of ALSC, please visit http://www.ala.org/alsc/donate. The concept of scaffolding is how I think about the services my department offers, as well as my professional and personal goals. It looks like many others think this way, too! I love this graphic. Thank you. Congratulations Krista! This is a fabulous design for children’s services!